The ability to earn an income and the confidence to try is essential in the rise out of poverty. The biggest problem the poor face is a lack of sustainable income. Transform helps mothers provide for their kids by earning more money through small businesses and to save for the future. After starting her own business, Mary Sunshine joined the local ‘Harvester Savings Group’ to invest in cooking equipment. In just three months the 38 entrepreneurs saved a total of US$242. Mary is committed to saving for her business and setting money aside to improve her family’s quality of life. Her next goal is to build a toilet for her family. During Transform, 95% of participants join a Savings Group. 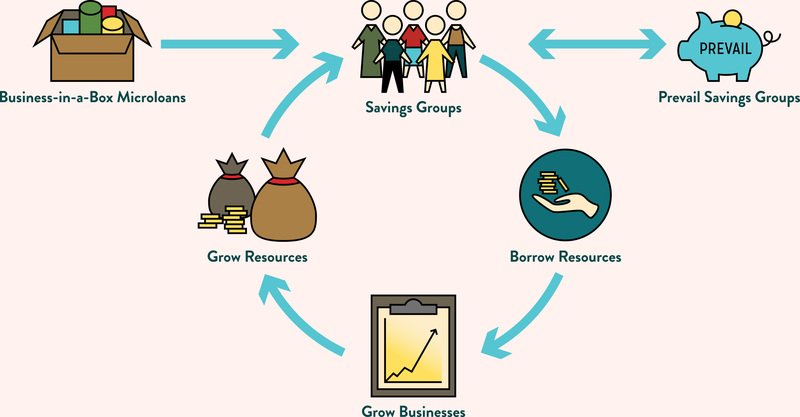 These self-governed groups pool their savings into a common fund used to provide loans for group and individual businesses as well as medical and education needs. The vast majority of ultrapoor families have never had savings before. After Transform they have a safety net for times of crisis.